This match will be the second match of both the teams and will be trying hard to win. As previous matches of respective teams have gone against the will and lost from Chennai Super Kings and Delhi Capitals. Both teams have the chance to reset their positions in the IPL season 2019 and play on a better pace. RCB will be lying their hopes on Virat Kohli, Parthiv Patel, and Ab de Villers and with them, bowling will be coped up to Yuzvendra Chahal who is a class act and they also have Moeen Ali, Colin de Grandhpmme, and Shivam Dube. 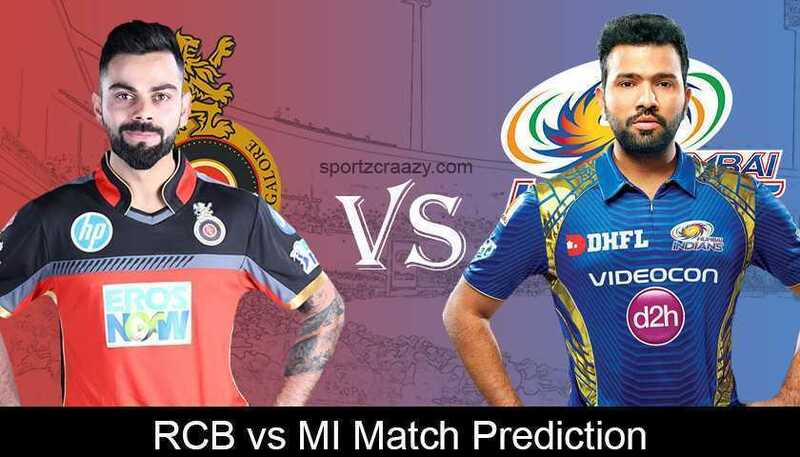 Mumbai Indians are not coming slow to Royal Challengers Bangalore because they want to win the title and set their points strong on the table. This team consists of world-class batsmen starting with Rohit Sharma and Suryakumar Yadav, Quinton de Kock, Kieron Pollard, and Yuvraj Singh. Bowling from this side will be led by Rasikh Salam, Jasprit Bumrah, Lasith Malinga and Mitchell McClenaghan. These teams have been encountering with each other for the 23rd time. From the past, facts say that 22 matches have been played by them with 14 wins in a cap of Mumbai Indians and 8 of them are with Royal Challengers Bangalore. Mumbai Indians have won the title of IPL and still in the race to become the winner of IPL 2019.